Kurt Vile is heading out on tour this fall, and he's hitting the road with the non-partisan message of rock'n'roll. In addition to preaching the gospel of guitar, though, he'll also be donating $1 from every ticket (via PLUS1) to the ACLU to support their work "defending and protecting out individual rights and liberties." 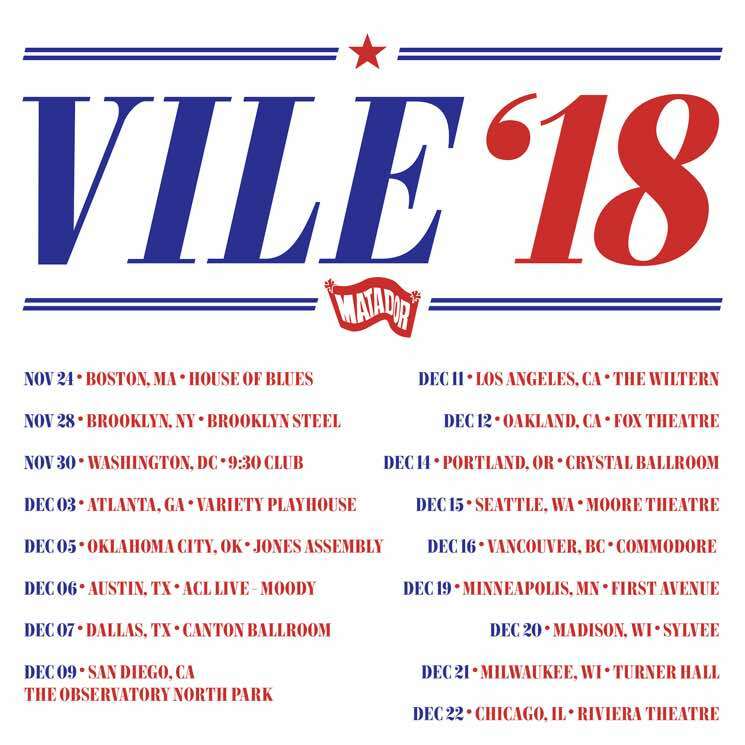 Vile will be joined by his backing band the Violators for the duration of the upcoming jaunt, while Jessica Pratt will serve as the opening act. It all kicks off in Boston on November 24, before making just one Canadian stop in Vancouver on December 16. The full run of dates comes to an end in Chicago on December 22. See the full list of dates down below. His last full-length release was 2017's collaborative LP with Courtney Barnett, Lotta Sea Lice. Prior to that he released b'lieve i'm goin down… in 2015.